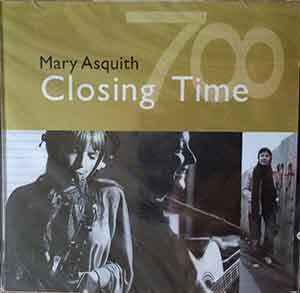 MARY ASQUITH only made one album ‘Closing Time’. 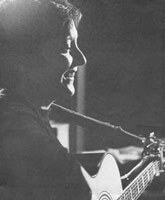 Mary was known as the ‘Queen of blues and folk’ in the Manchester area during the seventies and eighties. Steve Heap (Mrs Casey Music agency & Music Festival Promoter) said he would “walk bare foot across burning coals” to obtain a CD version of this album! It is a truly brilliant album which showcases Mary’s songwriting talents and that fabulous, whisky soaked voice. Mary’s version of Dylan’s ‘Just like Tom Thumb Blues’ is stunning. She is backed by Barbara Thompson on tenor sax and Simon Prager on slide guitar. Take a listen, it will get the hairs on the back of your neck dancing! Mary’s beautiful song ‘Closing Time’ has been recorded by many other artists including BBC radio Two’s Mike Harding. Sadly, Mary died in November 2009. There are only a few copies of the reissue, limited edition CD left. (£13) MUM1204CD. PLEASE NOTE :VINYL NOW SOLD OUT August 2012.